As in other countries, the driving permit in Finland not only shows that its owner is qualified to drive a vehicle, but can also serve as a means of identification, in a similar way to presenting a passport or identity card. But physical driving permits are rarely updated during their 30 year lifespans, which can be a problem if the photo on the plastic card no longer resembles its owner and the information is way out of date. Sweden's HiQ and Finland's Great Apes have helped develop a prototype mobile system that can be automatically updated with the latest available photograph from agencies such as the police or passport control, given the latest driver status and vehicle info, and have penalty notices added instantly. Upon identity confirmation, the driving permit information is retrieved from a secure Trafi server, and combined with the latest available photograph from another government server. 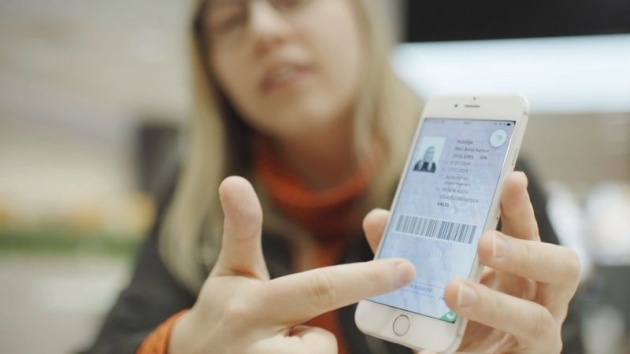 The user can then assign a 4-digit passcode to enter the app, or make use of touch/face ID, to ensure that no-one can access the Digital Driving License (DDL).